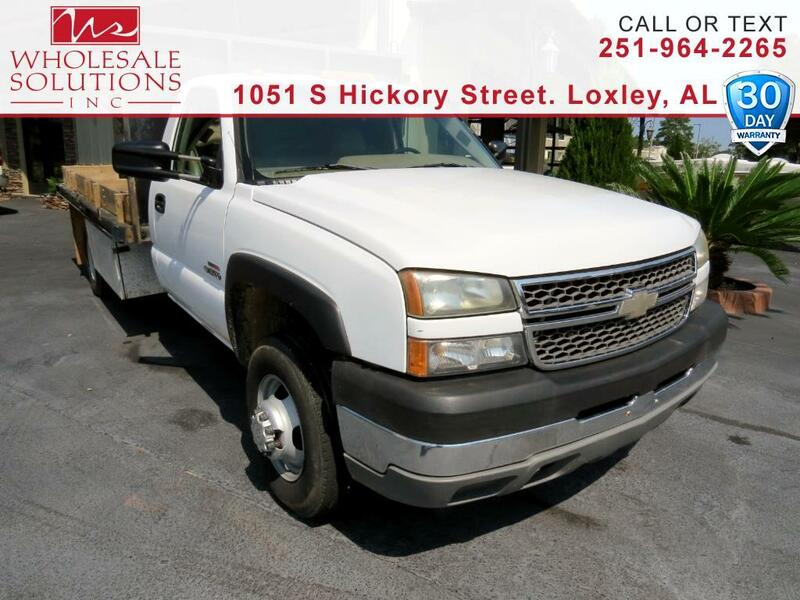 Used 2005 Chevrolet Silverado 3500 Reg Cab 161.5" WB, 84.9" CA WT for Sale in Loxley AL 36551 Wholesale Solutions Inc.
CARFAX One-Owner. TRAILER PACKAGE, Tow Package, Trailer Package, ****FLAT BED***, ** READY FOR WORK**, FLAT BED, Silverado 3500 Work Truck, Duramax 6.6L V8 Turbodiesel, RWD, ABS brakes, Front dual zone A/C. Clean CARFAX.